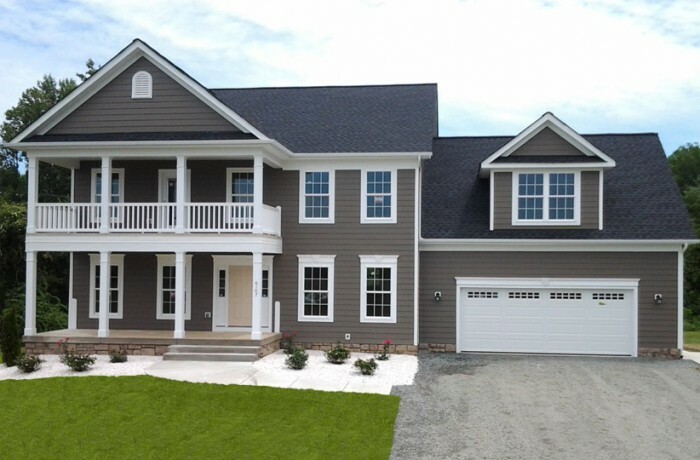 The Melissa is a 4 bedroom, 3.5 half bath home that is featured in the beautiful Potomac Landing Subdivision of King George County, VA. The Melissa features several floor plan options to provide a custom built home for each home purchaser. Homes built in Potomac Landing are available on large lots with views of the Potomac River. This custom home features two master bedrooms. The first master bedroom is located on the main floor with a second master bedroom located on the 2nd floor with the remaining two bedrooms. The space above the oversized garage can be used as an additional bedroom or bonus room. The garage is completely finished with drywall and paint of the home buyers choice.